This one was a real challenge in a few ways. I needed to visualize actual terrain in 3D and show how that relates in 3D with a topological map. 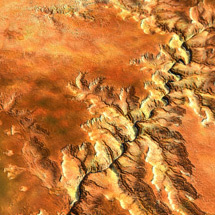 I scanned the map, found the shader files from GIS (to define the elevation in the 3D program), and a satellite image of the Grand Canyon to colorize it. Getting the three to align perfectly was a bunch of Photoshop scaling and nudging with transparent layers to get things just right. My eyes started to cross but the result came out just as I wanted. 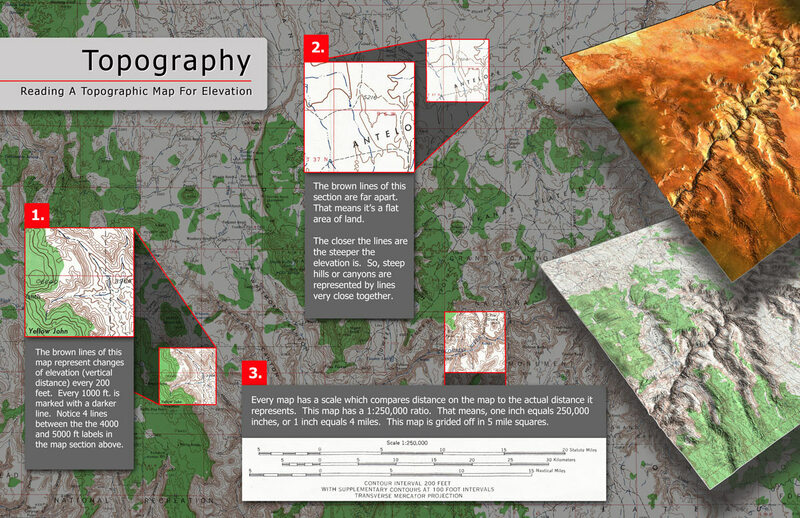 A simple demonstration, but I learned a little about the maps I carry with me on hiking and camping trips. Another plus of creating info graphics.